The unbent section of a bent tube, as opposed to the arc of the bend. Each bent part consists of at least two tangents and a bend. The end tangents of a bent part are those tangents at each end of the part, and the mid-tangents are the remaining tangents between the bends of the part (assuming the part has more than one bend in it). 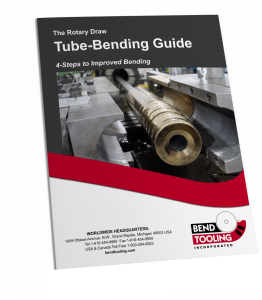 The forward or lead tangent is the tangent that lies ahead of the line of tangency during the bending process, and the back or trailing tangent is that which lies behind. Compare arc or bend.